International Module "Doing Business in Russia" for the audience and graduates of SAIF programs "Leading the Future CEO Program"
The program included lectures by leading professors of SPbU aimed at acquainting listeners with the strategy of business development in Russia, scientific technological achievements, investment opportunities and business prospects, as well as with the culture and history of Russia. 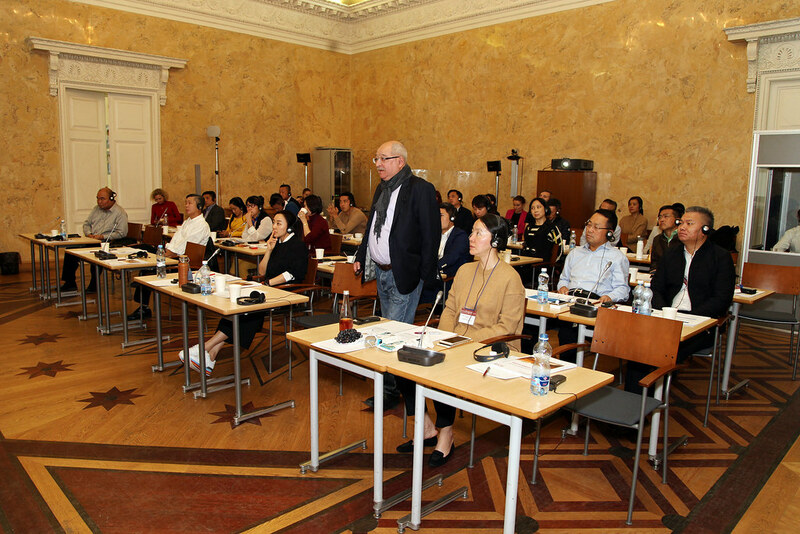 Among guest speakers of the module in 2017 there were Lev Lurie, Laureate of the Golden Pen award, Antsiferovskoy award for works on the history of Petersburg, author of books on the history of Russia and St. Petersburg; Tatiana Arkhipova, Director of the Bolshoi Drama Theater n.a. G.A. Tovstonogov; Dmitry Sinkin, First Deputy Chairman of the Investments Committee of St. Petersburg; Pavel Karpunin, Partner of Capital Legal Services.